While I am selling Real Estate in Idaho Falls as the Bearded Realtor with The Group Real Estate I work with both buyers and sellers. I would like to describe some of the steps that I take when I am representing a buyer. First what is a buyer? A buyer is a person and or persons that is looking to buy a piece of Real Estate. There are as many different buyers as there are stars in the sky. They have different needs and different abilities to buy all kinds of Real Estate. I take pride in the fact that I am very good at getting the information needed from the buyers that is need in order to help them make the very best educated decision on sometimes their biggest purchase in their lives. For instance, if a family of 5 is looking for a home they are probably not going to want to buy a 2-bedroom 1 bath condo. I will certainly ask them what type of a home how many beds and how many baths they are looking for. As well as the style of home they would like, Ranch, split level or condo. The first steps that I take with my potential buyers is to do a pre-screening interview to discover their individual needs and motivations. How long have they been looking for a property? When is their desired move date? Also, what is their financial ability and do they own a home they need to sell first? What are their needs vs. their wants? Then there is a list of relevant questions like most importantly are they working with another agent? Then, number of bedrooms and bathrooms lot size etc. This is the first business contact and a great time to show them their options as far as what agency is. There is a brochure that is used and required by law in Idaho that must be presented at the first substantial business contract. In this brochure it describes the different types of agency as well as not having a realtor represent them. Right now, all of my buyers are customers. There are duties to all consumers in real estate transactions. 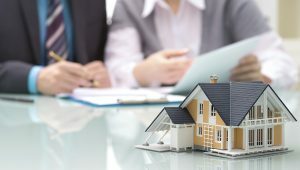 First, I must perform necessary and customary acts to assist you in the purchase or sale of real estate; perform these acts with honesty, good faith, reasonable skill and care; properly account for money or property you place in the care and responsibility of the brokerage; and disclose “adverse material facts” which the licensee knows or reasonably should have known. These are facts that would significantly affect the desirability or value of the property to a reasonable person, or facts establishing a reasonable belief that one of the parties cannot, or does not intend to, complete obligations under the contract. If the buyer is a customer, a real estate agent is not required to promote your best interests or keep you bargaining information confidential. If you use the services of a licensee and brokerage without a written representation agreement for agency, you will remain a customer throughout the transaction. You may become a client, if you want a licensee and brokerage to promote your best interest in a transaction, you can become a “client” by signing a buyer or seller representation agreement. A brokerage and its licensee will owe you the following client duties, which are greater than the duties owed to a customer. Perform the terms of the written agreement; exercise reasonable skill and care; promote your best interests in good faith, honesty, and fair dealing; maintain the confidentiality of your information, including bargaining information, even after the representation has ended; properly account for money or property you place in the care and responsibility of the brokerage. Find a property for you or the buyer for your property, and assist you in negotiating an acceptable price and other terms and conditions for the transaction; disclose all “adverse material facts” which the licensee knows or reasonably should have known, as defined in the agency disclosure brochure and be available to receive and present written offers ad counter-offers to you or from you. Its does not end there. Once you have decided to be represented by an agent you have a few options to choose from. Single agency, limited duel agency without assignment, and limited duel agency with assignment. Under single agency you are the client and the licensee are your agent who represents you, and only you, in your real estate transaction. The entire brokerage is obligated to promote you best interest. No licensee in the brokerage is allowed to represent the other party to the transaction. In other words, I belong to The Group Real Estate if I represent you under single agency and you are a seller, no one in my office can bring you a buyer. 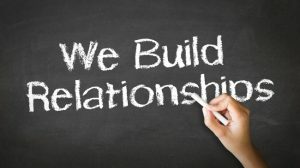 This has its purpose but does limit what a brokerage can do for its client. Limited dual agency means the brokerage and its licenses represent both the buyer and the seller as clients in the same transaction. The brokerage must have both the buyers and sellers consent to represent both parties under limited dual agency. You might choose limited dual agency because you want to purchase a property listed by the same brokerage, or because the same brokerage knows of a buyer for your property. There are two kinds of limited dual agency. Without assigned agents the brokerage and its licensees are agents for both clients equally and cannot advocate on behalf of one client over the other none of the licensees at the brokerage can disclose confidential client information about either client. The brokerage must otherwise promote the non-conflicting interest of both clients, preform the terms of the buyer and seller representation agreements with skill and care, and other duties required by law. With assign agents the designated broker may assign individual licensees within the brokerage, “assigned agents” to act solely on behalf of each client. An assigned agent has a duty to promote the clients best interest, even if you interest conflict with the interests of the other client including negotiating a price. An assigned agent must maintain the client’s confidential information. The designated broker is always a limited dual agent for both clients and ensures the assigned agents fulfill their duties to their respective clients.